I’m a Singaporean girl living in Tokyo, Japan. I started blogging on 09/09/09 so that’s almost a decade. I used to be obsessed with using a pro camera to take food photos but I have moved past that. All photos you see now are just taken with my handy iPhone. I’m a pescetarian by choice. I plan all my meals as much as I possibly can. That’s enough for now, thank you for reading! Not too sure if it was referenced correctly, but I trust the article written into MyPaper was by your goodself? I thought that it was an excellent step and kuodos to the paper who decided to publish it. You should share with the food blogging community on the restaurant who decided that your entry should be removed to avoid “legal proceedings”. Such errant behaviour from service establishments should be highlighted and communicated. What an embarrassment! Anyway, hope that the incident hasn’t marred your interest and passion to share great food! 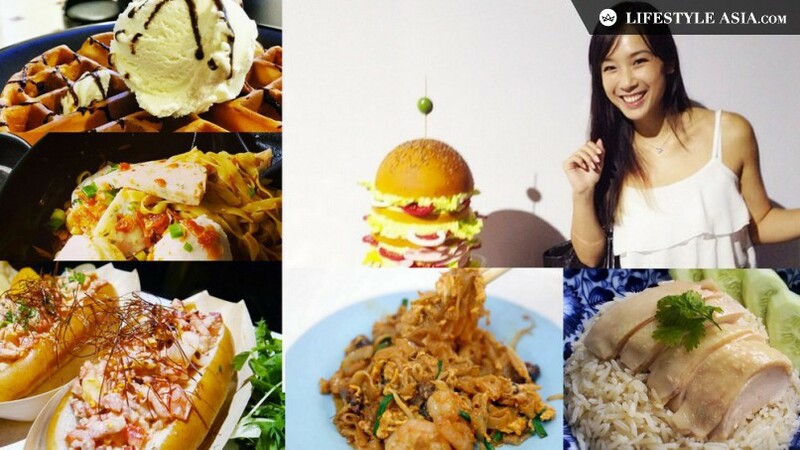 Are you the Kaelyn Ong whom a restaurant wanted to sue you for a no so good review? If yes, I just want to let you know I fully support you not to remove the review…though I don’t know which one (everything you show here seems to be good). If they really sue you, you will gain instant fame because that means you have a large influence on their reputation and they do care. BTW, after the NKF story, I don’t think they will be stupid enough to really take any action :-). Good job and without your newspaper letter, I wouldn’t have known about your blog site. You take really good pictures and I think I will start going to your site regularly for new food where-to-go ideas. Thanks. Try out this restaurant call Alba italian restaurant along Ember restaurant that road. keong Saik if i am not wrong. Its own by Chef Nicolas. Quite nice the food. Thanks for the recommendation! It’s a new restaurant right? Will check it out =) After Ember, cuz I really want to try Ember first haha. oh ember..i remember their set lunch is same as ala carte menu..just that in smaller portion..additional cost if u take up Foie Gras as starter..i believe u will like it alot..cos their food suit local palate..and quite reasonably priced..Should try their Apple tarte tartin..very nice with the vanilla ice cream.. I have always enjoyed reading your entries. Keep up the good work! I must tell you that I’ve enjoyed reading all your food reviews. They’re so well written and such a delight to read (whether it’s a good review or otherwise). Hey, may I know if you have ever read ‘The Man who ate Everything’? Now, that is splendid food writing and if you have not, I would like to recommend it. Hi! I like the simplicity of your site using WordPress.com platform with your amazing skills in food photography as well as spontaneous writings. May I list you in my showcase site? My site is a showcase gallery of websites from Singapore. It’s a hobby for me to compile amazing websites from Singapore and I think you fit the bill. We would be delighted if you would want to link blogs with us. You have such an inspiring blog btw! Hope to hear from you soon! Thanks for including Oral Pleasure on your blogroll. Most welcome! I’ve been a silent reader since don’t know when haha. Looking forward to reading more of your posts!